The label “REAL” on product packaging Resonates well in the Marketplace! This chart displays All North American New Products Identified by Mintel Global New Product Database GNPD, that have the key word "Real" on the package. Any of us with millenials around the household know they can be tough customers. They want authenticity -- the genuine article. They read labels and seek the real deal. In this issue we look at "Real Blueberries". USHBC has the beautiful Real Blueberries Inside™ seal as our banner. Trendsetting companies have signed up to use the seal on their pack. This year, we also find companies, large and small, identifying products that contain "Real Blueberries" on the label. We salute you! Thank you for using Real Blueberries. And thank you for showing off "Real Blueberries" on the package! Happy New Year! Hunting for New Products! Some ask, "How do you get all of this new product stuff?" Loyal readers have seen the term, "GNPD" and "Mintel" cited in past e-Newsletters. Mintel is an international research service. Among other activities, this company has developed a global network of "shoppers" who continually identify new products in stores. They categorize, record ingredients, product claims and background information. This information is stored in the Mintel Global New Products Database (GNPD). USHBC subscribes to this service and can search for new products, ingredients, company names and other variants. It is a great way to see blueberry interest in a new category, new country or new blueberry uses. Here is a New Year salute to all of the hundreds of Mintel shoppers who deliver this valuable data! At the end of 2018, I did a Mintel search of new products launched in North America: "Real," resonates in the market place! This query returned 2,587 new products which used the term, "real" on the label in 2018. Just a few: Real bacon, Real cocoa, Real vanilla, Real milk, Real egg whites, Real fruit and yes -- Real Blueberries! In 2018, 422 new or re-launched products contained the term "Real" on the package. Of these 422, 22% (101 products) contained blueberries on the ingredient statement. 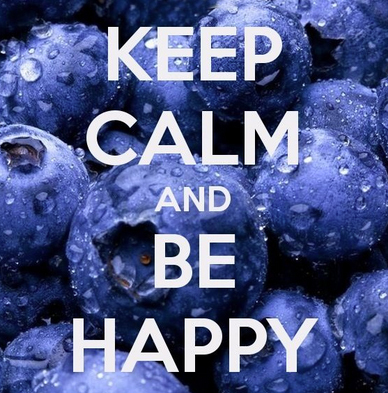 Thank You for Supporting Real Blueberries! These ingredients include: fat bits, gum bits, cereal bits, and other product concoctions that are designed to look like blueberries. A Salute to the proud display of “real blueberries” on packaging. 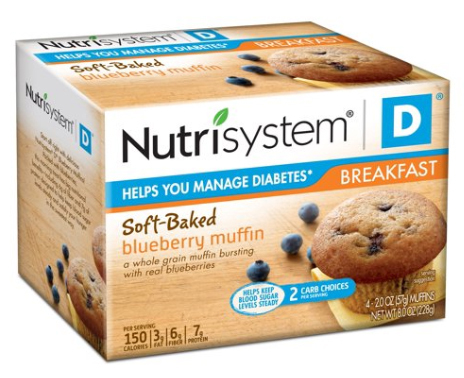 Image Above: Nutrisystem© launched a delicious new soft-baked blueberry muffin. The package reads: "Bursting with Delicious Blueberries!" Image Above: This new Blueberry Biscuit Sausage from the "King of the Road" features dried blueberries and juice concentrate in the biscuit! Jimmy Dean® touts, "Made with Real Blueberries" on the package. Image Above: The name on this new Quaker product, Real Medleys® says it all! Quaker products are marketed all over the world. Image Above: I love the combination of Real Blueberries and cottage cheese. Good Culture® cottage cheese is a pioneer-product in the category. In 2018 there were 84 new blueberry-containing dairy products launched in North America. Real Blueberries and Real Milk make a great combination! Image Above: This product from Nature's Bakery says "real fruit! Shows a lot of blueberry! Image Above: This mini pie from 7-11 Select® from 7-11, Inc. includes Real Blueberries and says "Made with Real Blueberries" on the package. Image Above: Kellogg's Eggo® waffle brand has become the gold standard for frozen waffles. This 2018 version lists dried blueberries as the first fruit ingredient. In 2018, ten frozen blueberry waffle products were introduced or re-introduced in North America. Eight contained Real Blueberries! Above Image: The Albanese™ company produces the "World's Best Chocolate" brand. In 2018, they launched a new chocolate covered blueberry. The pack lists dried blueberries prominently and also script proclaiming that the product is "Made with Real Dried Blueberries." Image Above: This Artisan Inspired™ dog treat from Vita Bone®has it all: Bacon, maple syrup and Real Blueberries. Note the "Made in America" logo which means a lot to pet owners! Image Above: General Mills re-packaged its innovative Blueberry Toast Crunch™ product. This product is a tiny cereal toast with blueberry powder. It takes a lot of blueberry to make a tablespoon of blueberry powder. General Mills proclaims: "Flavored with Real Blueberries" on the package. Image Above: Gold Emblem granola bar from CVS Pharmacy, Inc. includes dried blueberries inside and sends a "Real Blueberry" message. Thanks for reading the Berry Latest.